Celebrating 25 years during 2014. NCS Trade Signs offer a complete turnkey solution to sign manufacture in the UK, strictly for the trade only! From digital print and wall mounted acrylic signs to 8m totems and monoliths, NCS can meet your clients needs to exact specifications with excellent quality always paramount! 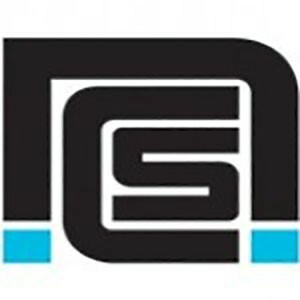 Originally founded in 1989 as Noise Control Systems Limited, an acoustic engineering manufacturer. Family run NCS Fabrications Limited has expanded and diversified throughout the last 2 decades. We now pride ourselves in being a leading Trade Sign Manufacturer. Our 50+ employees have a wide range of skills and working along side local training organisations to offer an apprenticeship scheme which trains school leavers to our highest standard over a 4 year programme. Utilising computer aided management control system ProgressPlus we can ensure a streamline process from quote through to delivery. Giving our staff the tools, gives our clients peace of mind. Located in Derby, the heart of the Midlands, our premises boast over 25,000sq feet between 4 buildings and is ideally located close to the M1/M42 and other motorway networks, allowing our drivers easy access to the nation. In addition we have trusting relationships with local designated same day and overnight couriers, all of whom can deliver to your door or direct to site using the utmost discretion, to ensure confidentiality. Our extensive supply network enables us to meet client specifications and create exactly what you and your customers are expecting. We are always on hand to offer our expert advice. With competitive prices and a dedication to high quality and service, we are sure you will benefit by having us as an extension of your team. We have recently commenced building work as part of our expansions plans. The extension will see an additional 9,000 sq ft of workspace added to the site.